Studio foam hanging baffles, which are made with anechoic studio foam, are specially designed to hang from the ceiling and eliminate echo and absorb sound in any space. Our hanging foam baffles are easy to set up and install in both permanent and temporary fixtures. Use them to partition a recording space, create separate vocal booths and instrument isolation chambers, or to provide sound deadening and echo absorption in a larger room. Soundproof Cow is proud to provide several different varieties of studio foam baffles to meet the needs of both commercial and DIY customers. While most commonly associated with music production, studio foam hanging baffles aren’t just meant for recording studios. Our products can be used to soundproof a variety of different rooms, including churches and other worship centers, theaters and entertainment facilities, gymnasiums, industrial facilities, pools and more. Be assured that if there’s a room you need to soundproof, Soundproof Cow has a hanging baffle for it. 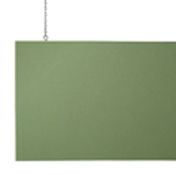 The Udderly Quiet™ family of hanging studio foam baffles is one of our most popular series of products. Udderly Quiet™ 200 series baffles are a cost-effective choice for general purpose applications. Several different sizes and color options are available, all of which feature a tough fiberglass core and fabric covering. For a more durable product, upgrade to the 250 series, which adds a lightweight aluminum frame. 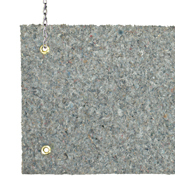 We also manufacture Class A-compliant hanging foam baffles for areas in which local build codes require a fire resistant product. All Udderly Quiet™ hanging foam baffles are easy to install and designed for maximum sound absorption. 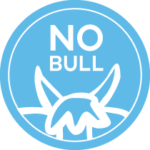 Visit individual product pages for pricing and other information. Echo Absorber™ hanging baffles are a value-priced alternative to the Udderly Quiet™ line of products that doesn’t compromise when it comes to sound quality. Made of 1” or 2” thick natural cotton and available in convenient multipacks, Echo Absorber™ baffles absorb high, low and midrange frequency reverberations, while offering excellent overall noise reduction. Installation is simple thanks to their convenient ceiling mounting, and a variety of colors are available to blend in seamlessly in any room. 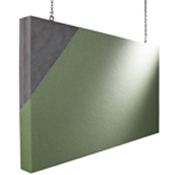 Echo Absorber™ hanging studio baffles are Class A-compliant and made from VOC-free, 80% recycled cotton. They are flexible enough to bend around curved walls, and fully resistant to fungi, mold and mildew. 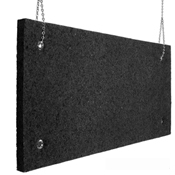 Not sure which of our hanging foam baffles is right for your project? We can help. Contact one of our knowledgeable representatives by phone or email, or browse our extensive online library to learn more about your options.